What is it that makes some kids work harder than others? Is it something in their genes, the water, or perhaps the position of the stars? While researchers around the world continue to study the concept of motivation, one fact remains crystal clear: People who feel that they have some control over their lives are more likely to act in a constructive manner. Thus, one of the critical keys to increasing motivation is giving people more control over their lives and improving their ability to affect what is directly happening to them. 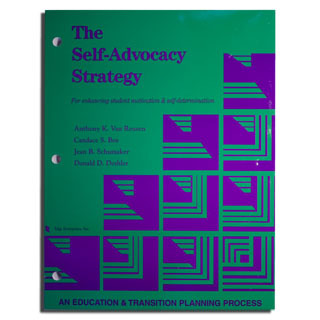 Today, one of the best tools available for increasing a student’s ability to control what is happening in his or her life is the Self-Advocacy Strategy. 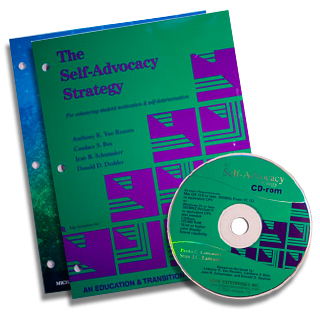 Although designed specifically to help students with disabilities become more active participants in their educational programs, the instructional program associated with this strategy sets the stage for helping all students take charge of their lives to become more effective learners and self-advocates. Instruction associated with this strategy helps students identify their strengths, needs, and goals, and it helps them learn basic skills for effective communication. They learn to use a specific set of behaviors during important meetings with parents and educators so that they can express their goals and make plans for the future. Such meetings as parent-teacher-student conferences, IEP conferences, transition conferences, teacher-student meetings, and court hearings are targeted. 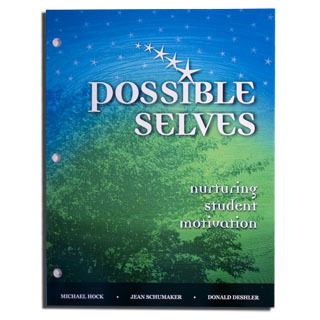 Another excellent tool for increasing a student’s ability to control his or her life is the Possible Selves program. The purpose of this program is to help students become aware of their hopes, expectations, fears, strengths, and weaknesses, and what they want in life, and to create actions steps for achieving their goals. As a result of this process, students come to see the value of school and what they’re learning. Although created for use with all students, students with special needs have taken the products they have created during Possible Selves instruction into their IEP meetings to explain their strengths, needs, and goals.